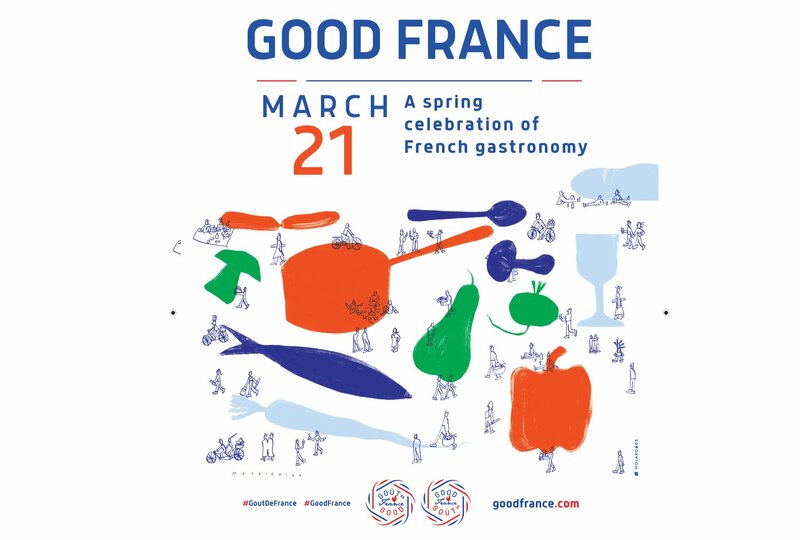 March 2019 – In March, Le Cordon Bleu, the leading global network of culinary arts and hospitality management Institutes, will take part in the festivities organised for Goût de/Good France 2019; the benchmark event for showcasing and spreading the reach of French gastronomy. At the initiative of the Ministry for Europe and Foreign Affairs, Goût de/Good France will take on a whole new dimension for its fifth anniversary. In excess of 5 000 chefs, spread over the 5 continents, will be involved in an enhanced 4 day programme celebrating ethical cuisine. Provence takes pride of place at this year’s event and will be showcased during events in France and around the world. For almost 125 years, Le Cordon Bleu has successfully achieved its goal of transmitting and spreading the global reach of French gastronomy and culinary techniques. During the myriad Goût de/Good France events, Chef Instructors and alumni will showcase these techniques, just as they are taught at Le Cordon Bleu Paris institute. Le Cordon Bleu Paris will take part in this global gastronomic symphony, with two culinary demonstrations by Chef Instructor Patrick Caals, on 23 March, at the Village International de la Gastronomie (International Gastronomy Village), at Place du Trocadéro in Paris. For the third consecutive year, Le Cordon Bleu-Sookmyung Academy will take part in Goût de/Good France. A traditional French dinner, with Provence as its theme, will be prepared by Chef Georges Ringeisen, Chef Instructor at Le Cordon Bleu-Sookmyung institute. The French Ambassador in Korea, H.E. Mr. Fabien Penone, will take part in the event along with 21 upper school pupils from 3 culinary secondary schools in Seoul, giving them the opportunity to be inspired by French gastronomy. On 18 March, Renatta Moeloek, Le Cordon Bleu Paris alumna and MasterChef Indonesia jury member, will join forces with Chefs Sylvain Dubreau and Rodolphe Onno, Chef Instructors at Le Cordon Bleu Malaysia institute, to prepare a lunch which will be served at the Residence of the French Embassy in Djakarta in the presence of H.E. Jean-Charles Berthonnet, Ambassador to France in Indonesia, and his guests. On 19 March, Sylvain Dubreau, Chef Instructor at Le Cordon Bleu Malaysia institute, will make, with the support of his students, a dinner for H.E. the French Ambassador in Malaysia and 40 guests. The Institut français and Le Cordon Bleu India will work in partnership to celebrate Goût de/Good France 2019. Two Le Cordon Bleu institute alumni will take part in the preparations for the dinner, which will take place at the Residence of the French Embassy in Delhi, in the presence of H.E. Ambassador Alexandre Ziegler and his guests. In the East Kazakhstan region, Masterclasses and a cuisine chef competition will be organised in partnership with Le Cordon Bleu institute. Armands Kalnietis, Le Cordon Bleu London institute alumnus, will prepare a dinner at the Residence of the French Embassy in Latvia for H.E. Mrs. Odile Soupison, the French Ambassador in Latvia.